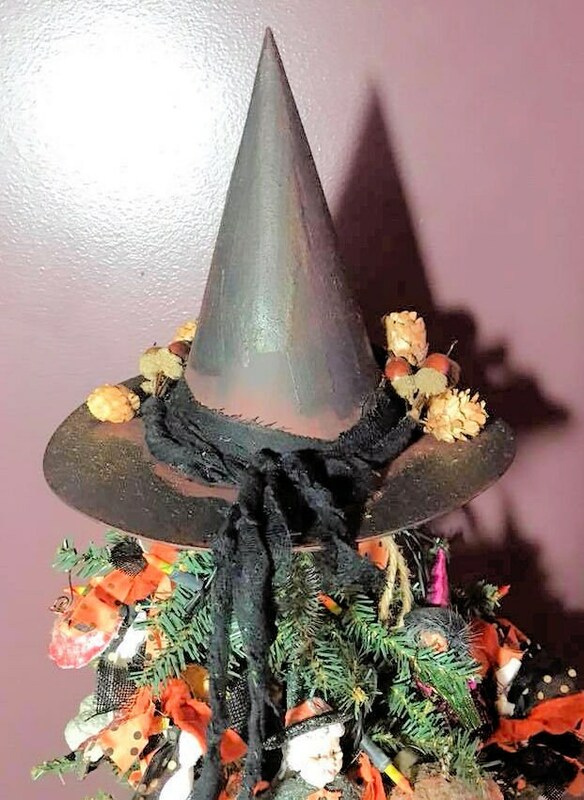 This hat has been painted a traditional witch's black. 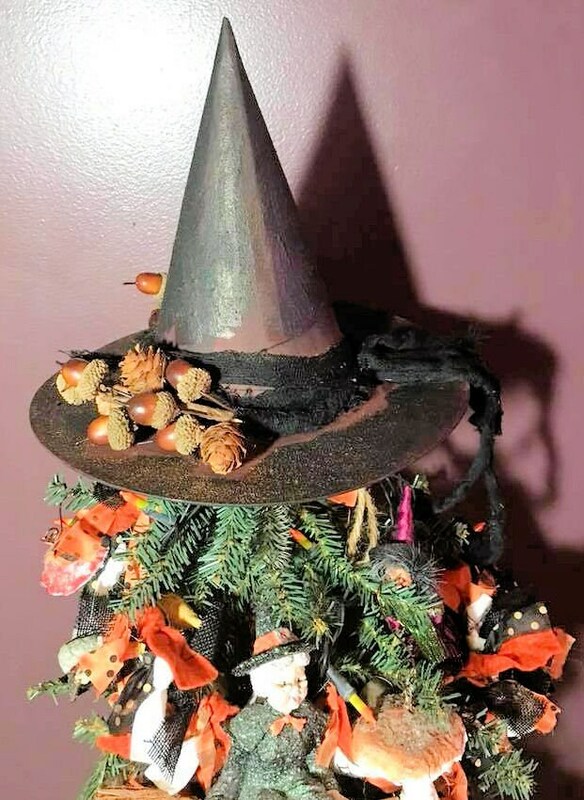 It also features a coating of primitive cinnamon on the rim and the cone that has also been painted black, giving it a textured look, that smells delicious! Black cheesecloth is wrapped around the rim twisted and knotted, hanging down off the back. 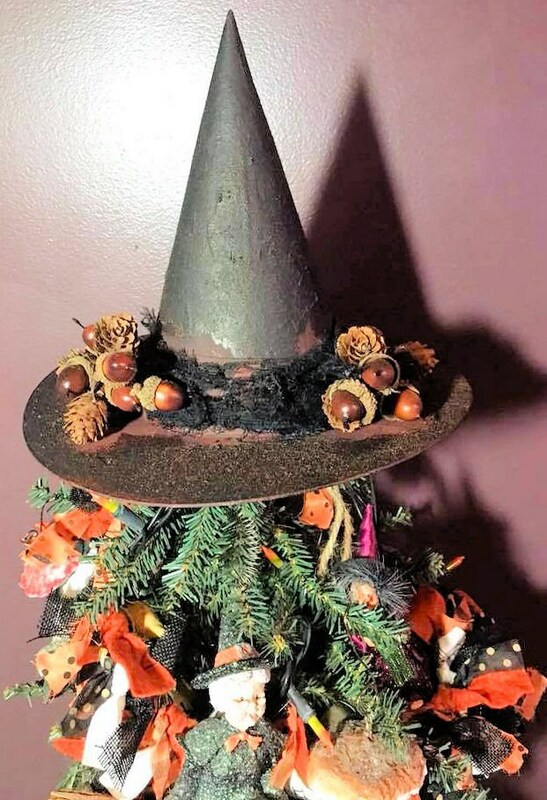 Named "Oak Forest Witch Hat" for the pinecones and acorns that accent the rim. 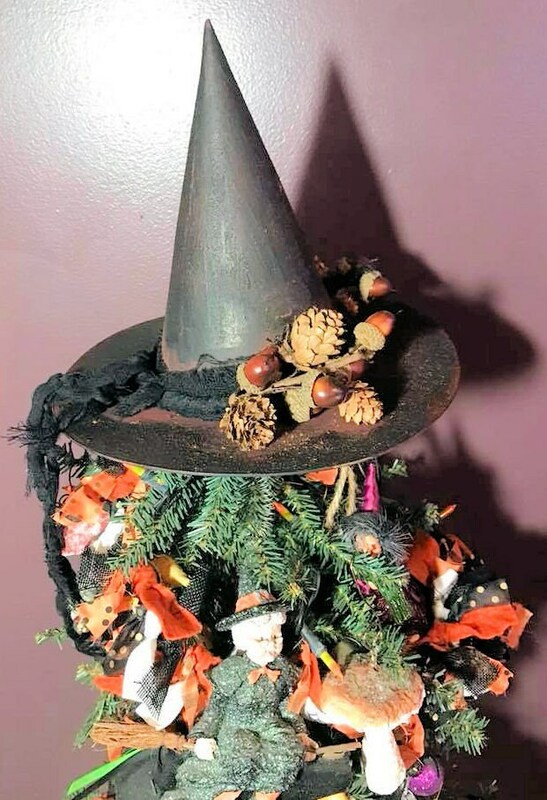 A finishing touch of cinnamon has been sprinkled on the hat.